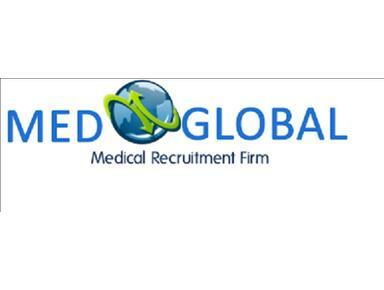 MedGlobal, Inc. is a Medical Recruitment Firm that recruits skilled personnel for virtually every segment of the Healthcare industry. Whether you need a Nurse, Doctor, Pharmacists, Dentist or Medical Office Support, We have what you need at prices you can afford. Our belief is that “relationships come first” it ensures that both our clients and consultants are completely satisfied throughout their partnership with us. We are built on the quality principles of providing value-added human resource support services to healthcare organizations and allowing our clients an increase in performance efficiencies, the management of workload fluctuations, and cost containment. Our human resource support competencies are achieved through custom matching motivated and qualified individuals to the specific skill need of your organization. MedGlobal sets the industry standard through intensive interviews and credentialing checks that identify the top performing healthcare professionals. At MedGlobal, our goal is to provide you with courteous, expedient, professional service of the highest caliber. It is our ultimate goal to provide you with long term professionals that will play a major role in reaching your company goals.